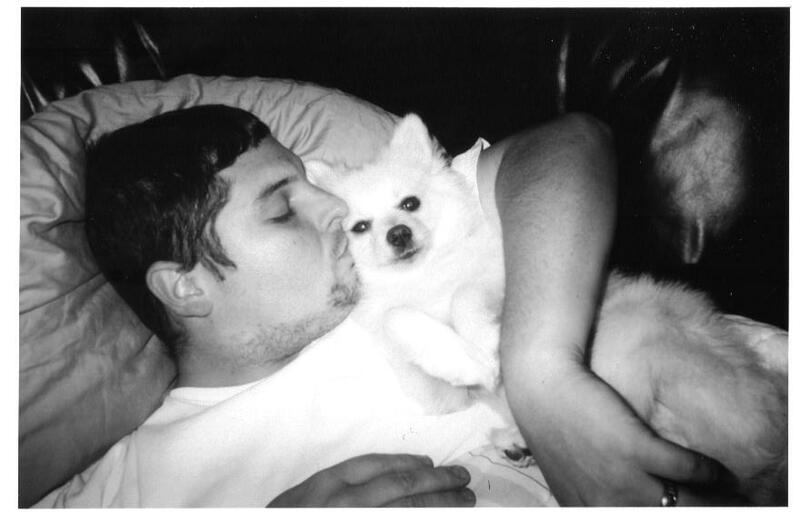 I’ll never forget the night back in early 2003 when Stephen came through the door late one Sunday night with this tiny crate that was making a little crying noise….clearly a puppy. However, he had just spent the weekend down in Vero at his uncle’s, so my immediate question to him was, “who did you bring home?” …thinking he had for some reason brought home one of their animals. Then, I saw that 3 lb. white snowball looking at me and my heart melted. Fellow animal or dog peeps, you know…these guys become your family and Timber, as his daddy soon named him (b/c we thought he looked like a little timberwolf), has been no different. 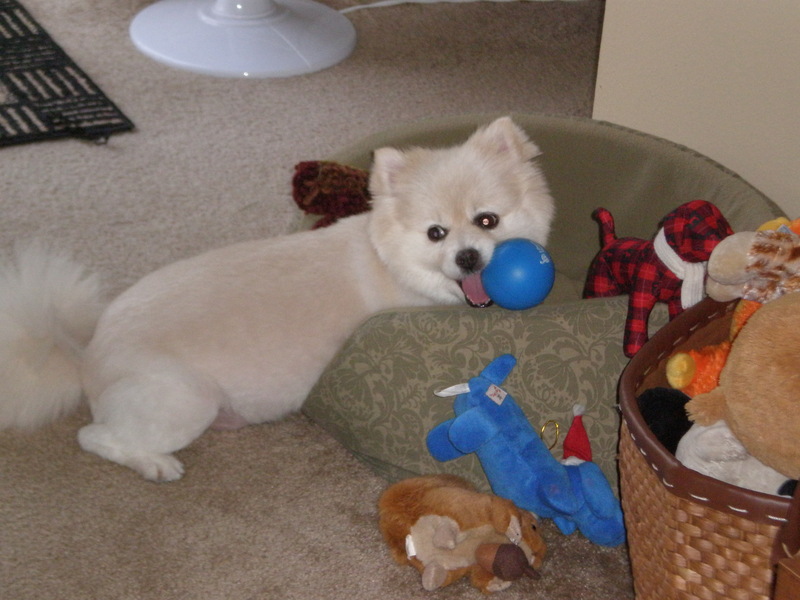 In fact, he’s been quite the spoiled little guy. 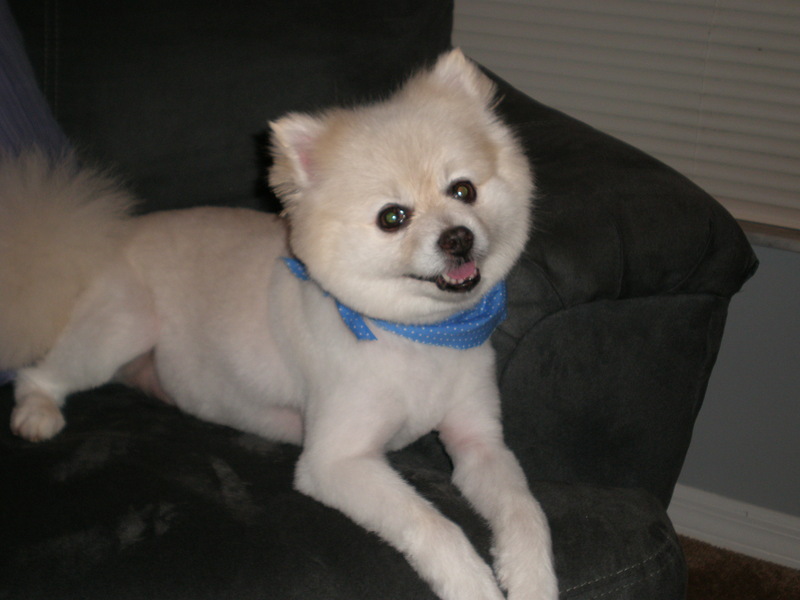 We’ve affectionately referred to him as our “1st born”, “practice child” and “fur baby” ….either way, he’s not “just a dog”. He’s our baby and definitely part of our Murphy family. Since Liam’s come on board, yes, life has changed for him. He’s had to grow up a bit, so to speak. Or maybe, I have, I guess. Self admittedly, before Liam came along, I used to freak out with every little thing that seemed to be wrong with him. However, nowadays, I just honestly don’t have the time. Don’t get me wrong. He is still quite the pampered pup. Just a bit tougher now 🙂 …And, he’s been an excellent big brother. I’m SO proud of him for that. Especially given that he was never around kids before Liam. It’s truly heart-warming to watch Liam and Timber interact. I hope we can still enjoy this more & more for years to come. still playful …and super cute! 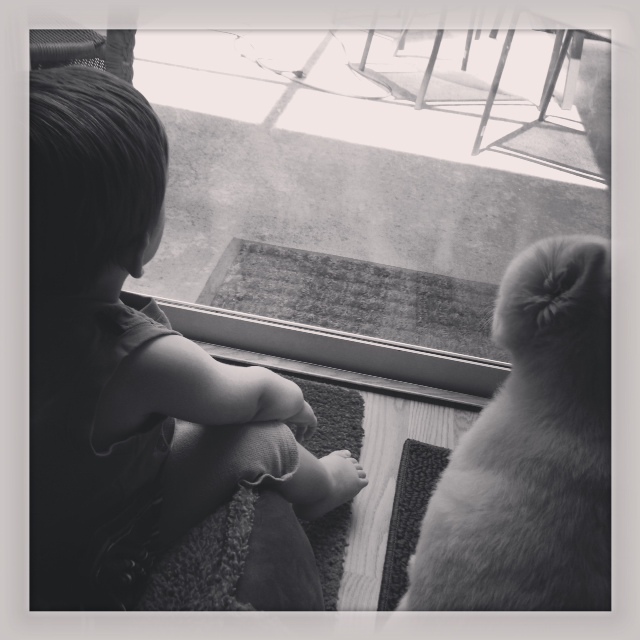 6.8.13 ~ a fav that shows the bond between Liam & Timber ~ watching Daddy cut the yard. 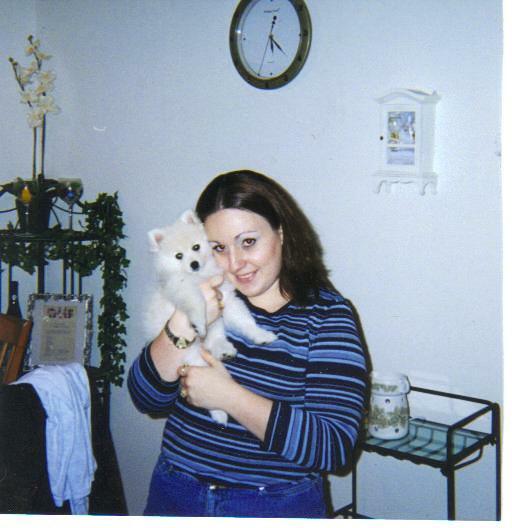 This sweet boy, now almost 15, will forever be our 1st baby…. I think I’m gonna start bawling…..this is sooooo cute! Love the last picture of the two! Just precious!